This image shows a lava channel north of Kuiper Crater in the high southern latitudes just before spring equinox. It was a target suggested by members of the public, using our suggestion tool called HiWish. The channel confluence at the top of the image illustrates interesting volcanic processes that took place long ago. However, it was the mounds on the rim of the channel to the south of the confluence that we initially found alarming. 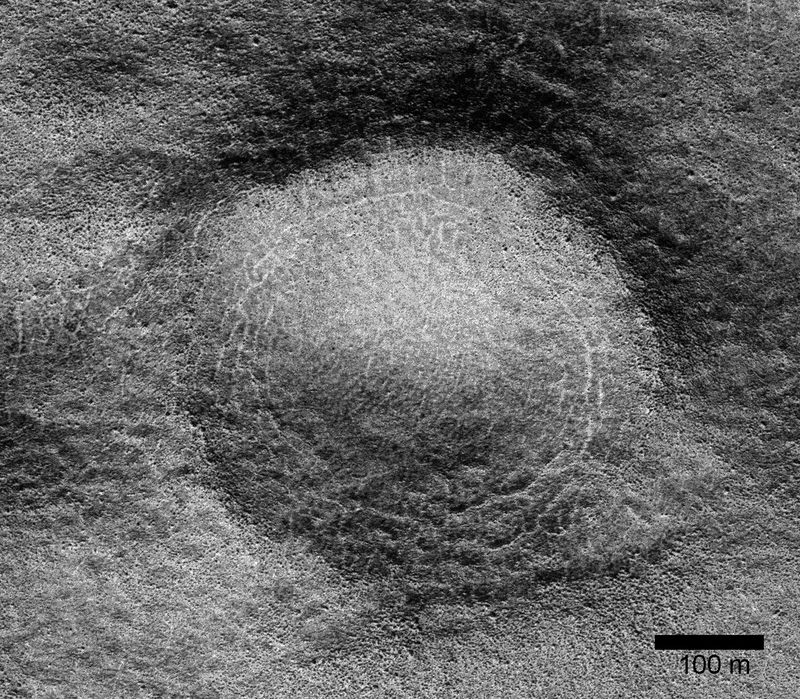 These mounds, up to 400 meters in diameter, are decorated by radial and concentric patterns that resemble spider webs. Radial and concentric fractures are familiar from forces penetrating a brittle layer, such as a rock thrown through a glass window. 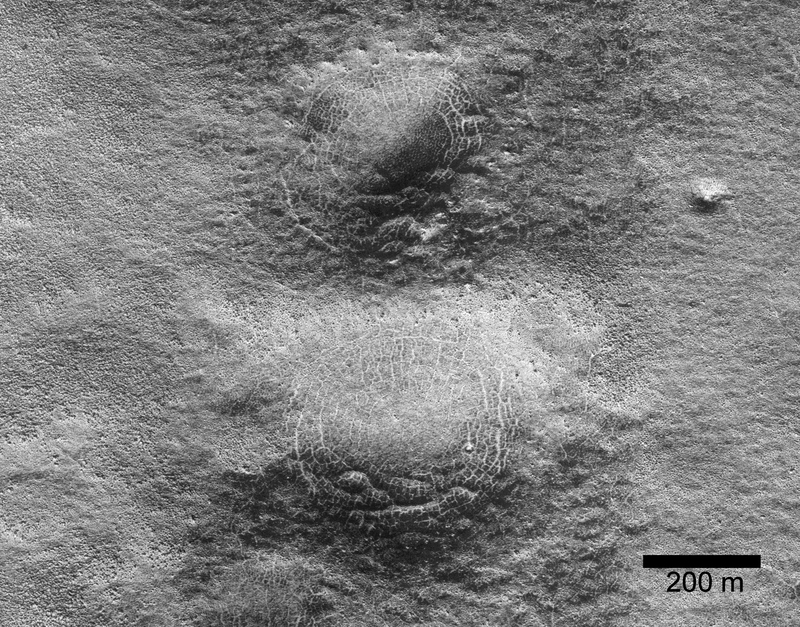 These particular fractures were evidently produced by something emerging from below the brittle surface of Mars. 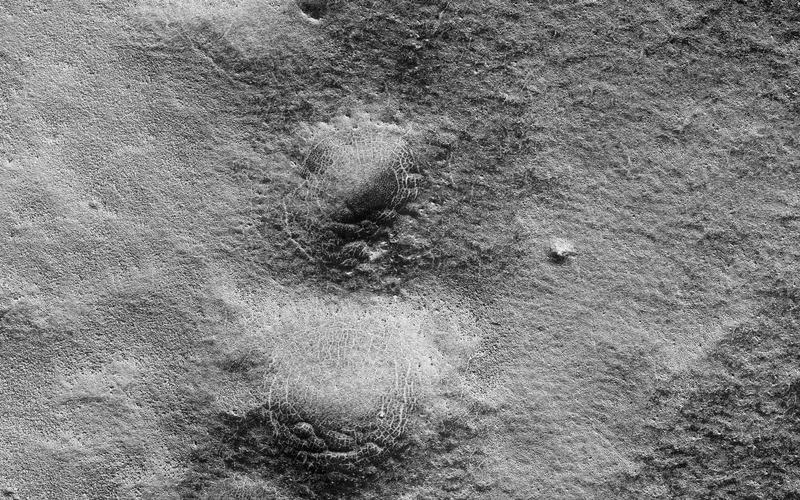 It seems likely that ice lenses, resulting from the accumulation of ice beneath the surface, created these peculiar mounds. Ice is less dense than rock, so the buried ice rose and pushed upwards on the surface and generated these spider web-like patterns. An analogous process creates similar sized mounds in arctic tundra on Earth that are known as “pingos,”, an Inuit word. The Martian fractures in this location are nowadays filled with dust instead of ice, so it is unclear how long ago this activity took place. 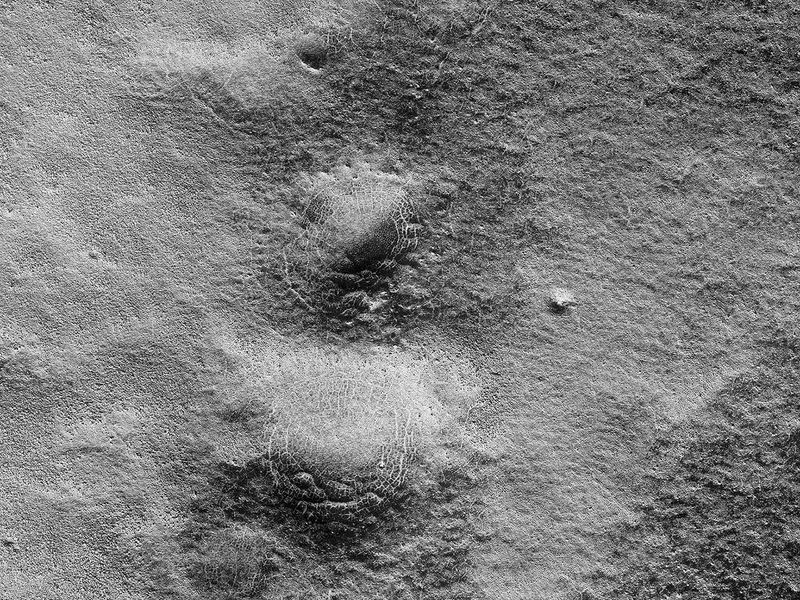 It seems likely that these pingo-forming periglacial processes took place much more recently than the volcanic activity also evident in this region of Mars.